Beginning next fall, a selection of Wellesley’s classes will be available to anyone with an Internet connection anywhere in the world. Today, Wellesley College announced WellesleyX, the newest member of the Harvard-MIT online learning collaborative edX. Wellesley is the first liberal arts college to join the collaborative, and also the first women’s college to offer massive open online courses (MOOCs). EdX, regarded as a leader in high quality online learning, was founded by Harvard University and the Massachusetts Institute of Technology (MIT) and launched in May 2012. Along with offering online courses, edX is researching how students learn and how technology can transform learning—both on-campus and worldwide. 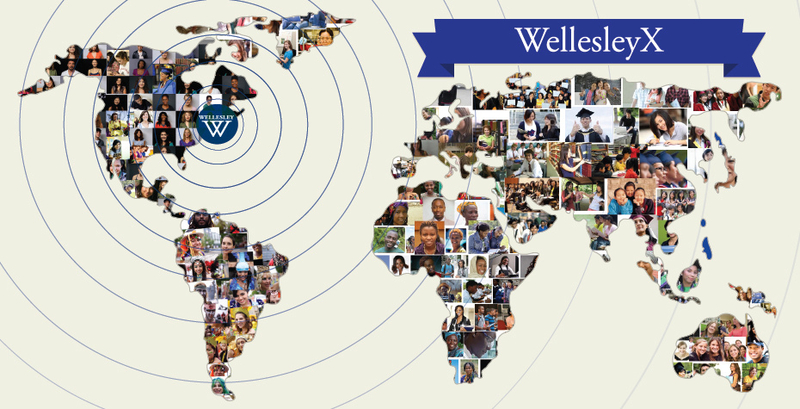 For more than a century, Wellesley College has educated women who have made a difference in the world. The edX platform allows the College to reach far beyond its campus to women everywhere. In a video announcing the launch, Provost and Dean of the College Andrew Shennan discussed edX as a modern extension of Wellesley’s founding mission “to educate women who otherwise would not have had opportunities to receive higher education.” Shennan said, “I think that we have an opportunity here to embrace a really exciting development in the history of higher education—to have an impact, and to make a contribution, to the way in which that new model develops.” Shennan also spoke to the Associated Press. WellesleyX will initially offer four courses, which are yet to be determined, beginning in the fall of 2013. The courses will be hosted on edX’s platform, www.edx.org. In a Boston Globe article announcing Wellesley's participation in the collaboration, Anant Agarwal, president of edX and a professor in the electrical engineering and computer science department at the Massachusetts Institute of Technology, said the addition of Wellesley College continues the group’s forays into new territory. Agarwal said Wellesley ­College will extend the group’s offerings in the humanities and will provide a case study in how to preserve the small-class culture on a large scale. For more information visit the WellesleyX page, which includes Frequently Asked Questions about the program and Wellesley’s participation. Want to receive updates on WellesleyX? Join the mailing list.